Great. New MacBook Air rumors. Again. According to MacRumors, KGI Securities analyst Ming-Chi Kuo is back at it again, claiming that Apple will be releasing refreshed MacBook Airs in Q2 of 2018. The refresh will supposedly include a price drop on what is already Apple’s cheapest laptop. Kuo has an excellent history predicting the future. He knew about Apple’s Touch Bar six months before it was announced. Ditto the iPhone SE. So if Kuo is saying we’re getting a cheaper MacBook Air in the next few months, there’s a good chance it is happening—despite a report in January from Digitimes that suggested the MacBook Air was about to be axed. Between Kuo and Digitimes, my money is on the analyst, but boy I want him to be wrong. As I’ve said before, the MacBook Air needs to die. It’s been over a year and a half since Apple effectively killed the MacBook Air with the release of the $1300 MacBook Pro sans Touch Bar with i5 processor. The only reason the MacBook Air clings to life support is because it’s the only Mac laptop available for under $1000. But let’s be clear, despite a very minor upgrade last year, the MacBook Air is one of the worst buys in laptop land right now. Keeping a laptop on the shelf with a four-year-old processor is as egregious as Wal-Mart’s tendency to stock ancient MP3 players and digital cameras. 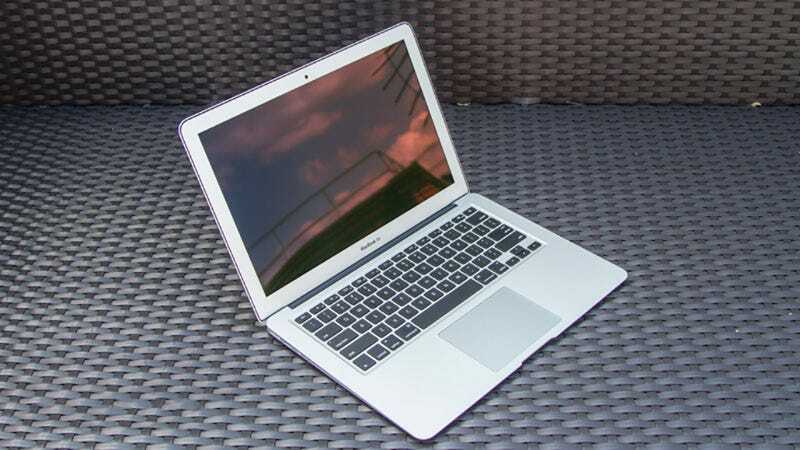 The MacBook Air is a former trendsetter well past its prime. Looking at the page for the MacBook Air on Apple’s website is like traveling back in time. The 1440 x 900 resolution display with its enormous bezels looks like an embarrassment next to the rest of Apple’s line up—or next to any other sub-$1000 laptop. That old Thunderbolt 2 port is by no means impressive. Nor is the Intel HD Graphics 6000 GPU. That GPU, like the Broadwell CPU it is attached to, is old enough to be in pre-school and thinking about kindergarten. The MacBook Air, in its current iteration, is done. It’s dead. It accomplished its task ten years ago when it taught us that laptops could be powerful and light, but it weighs the same as a souped up MacBook Pro, and weighs more than the more powerful MacBook—the true successor to the Air and a laptop that will only get better as low powered processors get faster (hopefully its price will get lower too, as $1300 for a m3 processor is never, ever reasonable). This all means the Air moniker now makes zero sense. Much like the overpriced laptop itself. Neither Kuo or MacRumors have suggested that this refresh will be more than a price drop. Unless the processor or monitor (or both) is updated, this will continue to be a bad buy—a laptop purchased by poor saps who don’t know any better. Please make sure no one you know is such a sap.